The kit has an additional focus on the artists and artworks in the Dobell Australian Drawing Collection at the Art Gallery of NSW – on tour in the Contemporary Australian drawing exhibition. It includes video interviews and links to related resources on the Gallery website, including our prizes database. 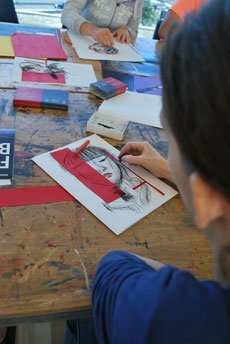 A range of public programs and events for teachers and educators will be held in conjunction with the touring exhibition Contemporary Australian drawing: 20 years of the Dobell Prize , including exhibition talks, teachers in-service programs and student art forums.